It should come as no surprise that we at DCoopMedia are big cheerleaders for just about anything that comes out of California tile artistry clé having featured their Rorschach Collection by Timorous Beasties in a prior Luxury Products Spotlight. This time around it is the Elements Collection, handcrafted by British ceramicist Boris Aldridge, that has caught our eye. What certainly makes these tiles special is Aldridge's grasp of his materials' natural qualities, a grasp which results in free flowing surface undulations, natural crazing from the artist's glaze, and pooling within the tiles' recycled glass interiors. Each solid ceramic or ceramic with crushed glass is 4" in dimension and can be installed both indoors and out. Once upon a time having a home bar was just about having a place to shake a good martini, pour a few shots, and store choice bottles of wine. With the new found popularity of craft beers (note: San Diego is the Craft Beer Capital of the US) as well as the continued desire of home owners to entertain at home, Perlick, better known for their commercial refrigeration systems, has introduced the world's first Flow Control Beer Faucet for the residential marketplace. Because each style of beer is carbonated at various levels - think "head" here and the amount of foam on top of the perfect pour - the key component to the beer experience is full control over the pour rate at the faucet, especially in dual head scenarios. The Perlick 650SS Residential Flow Control Beer Faucet will premier at the 2015 KBIS in Las Vegas and is perfect for both indoor and outdoor applications. Gertrude Stein once remarked that "America was her country and Paris was her Hometown". I can only second her sentiment even though my overseas excursions are so few and far between. Renowned French porcelain maker Haviland might help make those periods in between trips to the Seine easier to bear with the introduction of their Belle Epoque dinner service. Inspired by the era of Art Nouveau and the decorative styles expressed by architect Hector Guimard's glass and cast iron Paris Métro entrances, Belle Epoque is embellished with a delicate Arabesque tracery in mat-finish porcelain. Haviland collections can be purchased at the Daum-Haviland boutique, 499 Park Avenue, New York, NY or by calling 212-355-2060. An online portal can be found HERE. 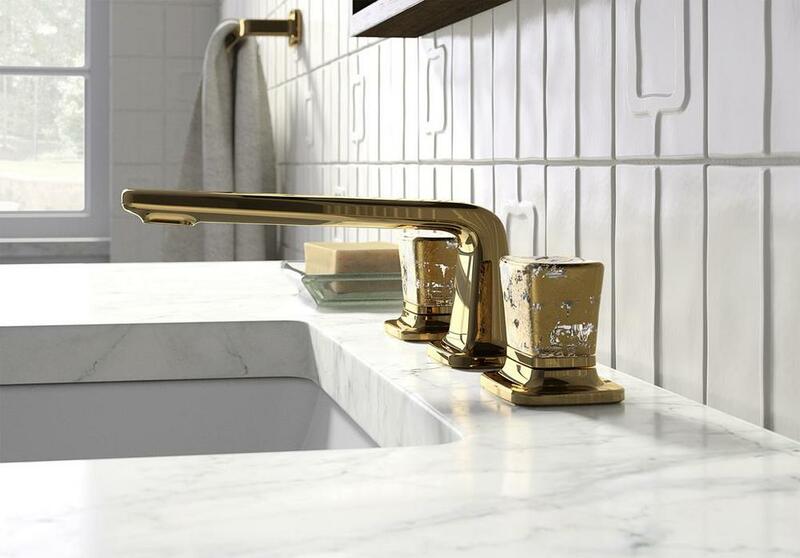 Though the Per Se Collection of faucets from Kohler's high end division, Kallista, is nothing new to the scene, the newest handle options to be introduced to the line bring a breath of mid-century air to the already classic series. Now available with handles of either Black Crystal or Clear Crystal with 24-karat gold leaf flake, both 24% leaded Italian crystal, the Per Se Collection pays further homage to the 1950's and 1960's design we've come to love. I Give Thanks - Happy Thanksgiving!